The Courtesan Wakaume of the House of Tama-ya with a shinzō behind her, looks down at the other shinzō sitting beside a tobacco cabinet. 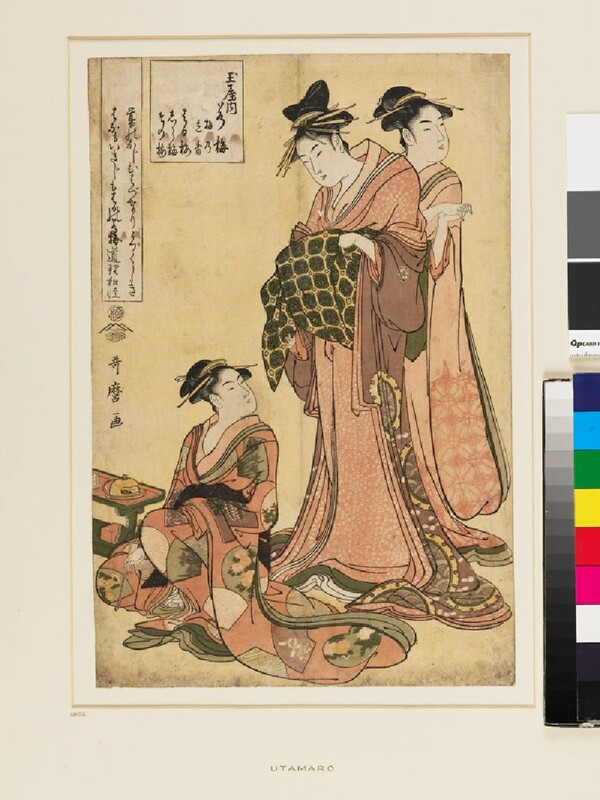 According to Yoshiwara Saiken (the Guide Book of Yoshiwara), Wakaume belonged to the House of Tama-ya from 1788 to 1798. 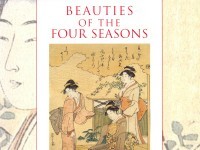 Her soft and graceful face was much admired and was often depicted by Ukiyo-e artists. The inscription mentions the 'haru no wakaume' ('young plum tree of the spring'), an obvious pun, and 'uguisu' ('Japanese bush warbler') which both imply the coming of spring. The print retains much of its original colouring.